Time spent in nature is well known to provide many physical, mental and emotional benefits, but what if your work schedule and career keep you in an office without many opportunities for heading outdoors? 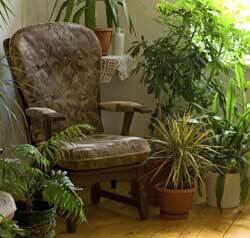 You can bring the outdoors in and reap many of the same benefits. There has been extensive research done regarding the benefits of plants in the workplace. With full time employees spending approximately one-quarter of their lives at work it is important that these buildings provide an environment of beauty, health and comfort. Studies confirm that there are both physiological and psychological benefits to surrounding yourself with nature at work. An eight-month study conducted by a Texas A&M University research team has concluded that plants significantly reduce workplace stress and enhance employee productivity, a win-win situation for both employer and employee. Other studies have verified those findings, as well as expanded the list of benefits plants can provide when used judiciously as part of an indoor workplace. With so many obvious benefits just by including plants in office décor, every office – whether it is a large corporation, a simple business or a cozy home office – should include at least a few plants. Larger potted plants or containers in a greeting or reception area. Ferns or hanging pots in broad windows. A ficus tree or other large pot near a water cooler. Pothos or other trailing plants on top of cabinets in a break area. Small plants and flowers on individual desks. 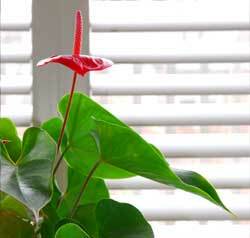 Decorating for holidays with seasonal plants. Giving office plants as gifts for work anniversaries, welcomes, etc. When choosing plants for the office, be sure to opt for plants that will function best in the environment. 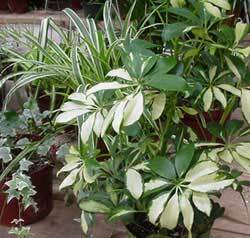 Take into consideration temperatures, light levels and humidity so the plants will thrive. Selecting low-maintenance plants that can withstand good-natured neglect is also wise, so they will still thrive even when project deadlines, committee meetings and vacation days may make their care sporadic. Fortunately, there are many great plants that can liven up an office, and each one will bring great benefits to the workplace.